Even though Turkey is known for its large cosmopolitan cities, its natural landscapes are also magnificent, from remote bays surrounded by green pine forests and the turquoise sea to the mysterious valleys of Cappadocia. Pack up your camping gear and check out some of these excellent sites around Turkey. 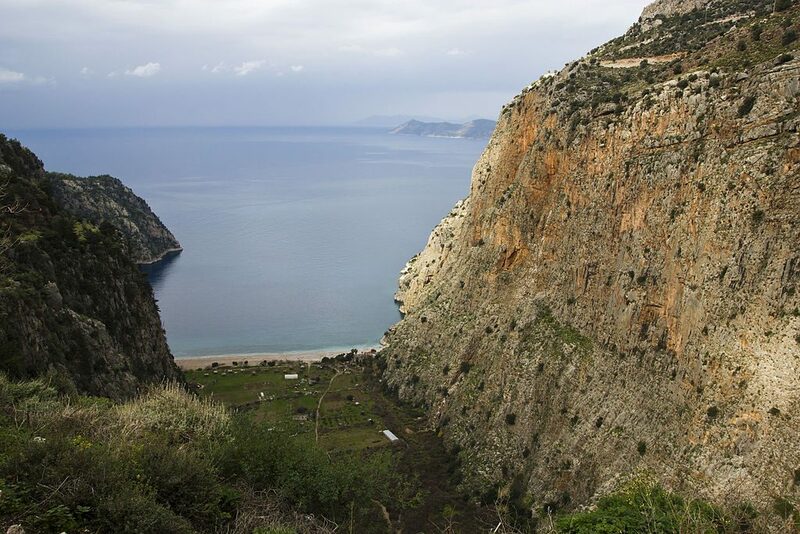 Only accessible by boat, the Butterfly Valley gets its name from around 105 butterfly species that live in this nature preserve where flora and fauna bloom uninterrupted. Bring along your tent (or rent one of the bungalows) and immerse yourself in pure nature, including a remote beach overlooking the dark blue sea. Located by the slopes of the Ida Mountains (Kaz Dağları), Hızır Camp is in the midst of nature where visitors often spend their days hiking and swimming in the Zeytinli Creek. The facilities include tree houses and cabins in case you don’t bring your own tent, while the kitchen serves dishes made mostly from the produce grown in Hızır’s own garden. Nature loving in every sense of the word, the campsite also produces its own energy through solar panels and wind turbines. A pioneer in the field of glamping (a boutique holiday in the midst of nature), Club Amazon in Bördübet, Marmaris makes full use of its remote location in the pine tree forest – about a five minute walk from the beautiful beach. Even though you can’t pitch a tent at Amazon, their range of rooms (from bungalow to boutique caravans with glass roofs) are all moderately priced. Apart from relaxing and enjoying nature, visitors can also have a picnic under the stars, discover the many remote coves, take a fishing tour, discover the area on bike or with a canoe, hike through the forest with a guide, or enjoy a live concert on the beach. Named after the ancient stone bridge that straddles the Köprülü River, the Köprülü Canyon is a paradise of cedar, pine, and cypress trees and canyons of up to 400 meters in depth. 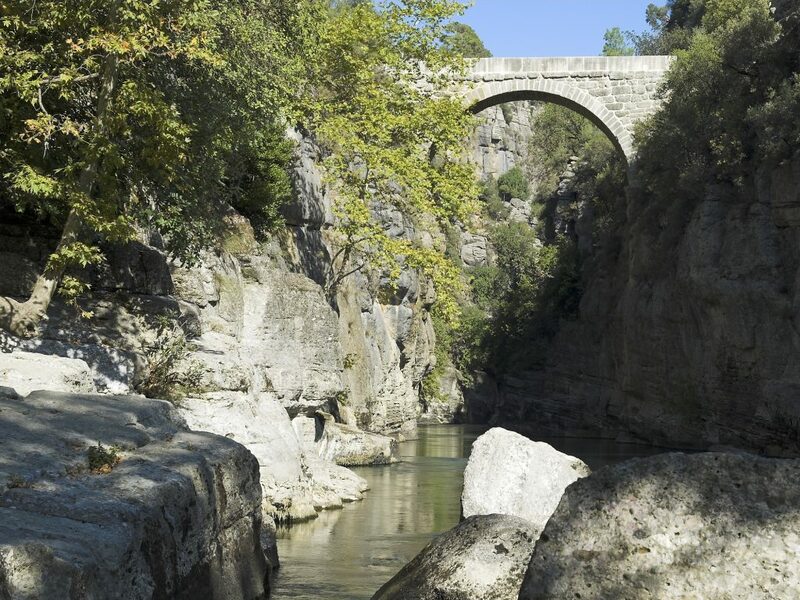 Set up your tent near the side of the bank and get active during the day with a hike, where you’ll come across the ruins of the temples of Zeus and Artemis, or take part in an exciting rafting trip down the river. 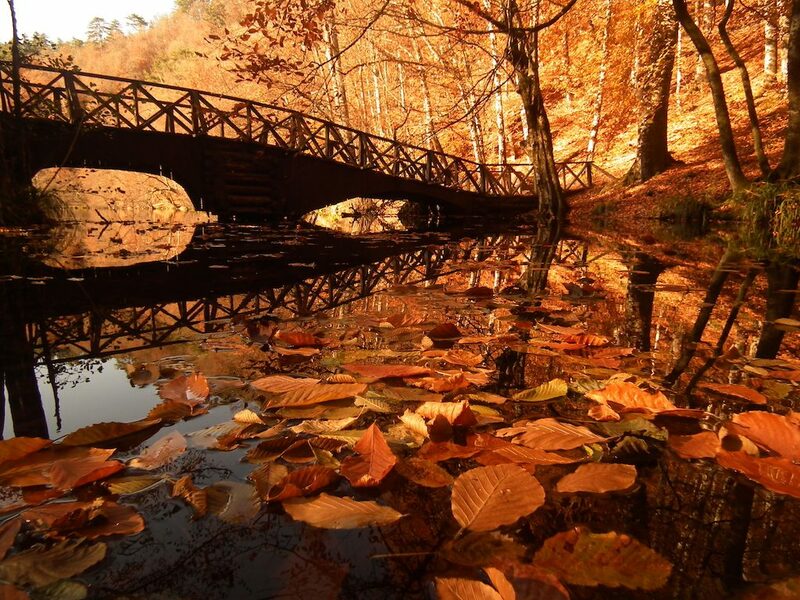 The main attraction of the Bolu region, Yedigöller gets its name from the seven small lakes that are surrounded by beautiful forests evergreen with oak, alder, pine, and hazelnut trees that stun with their spectrum of colors. 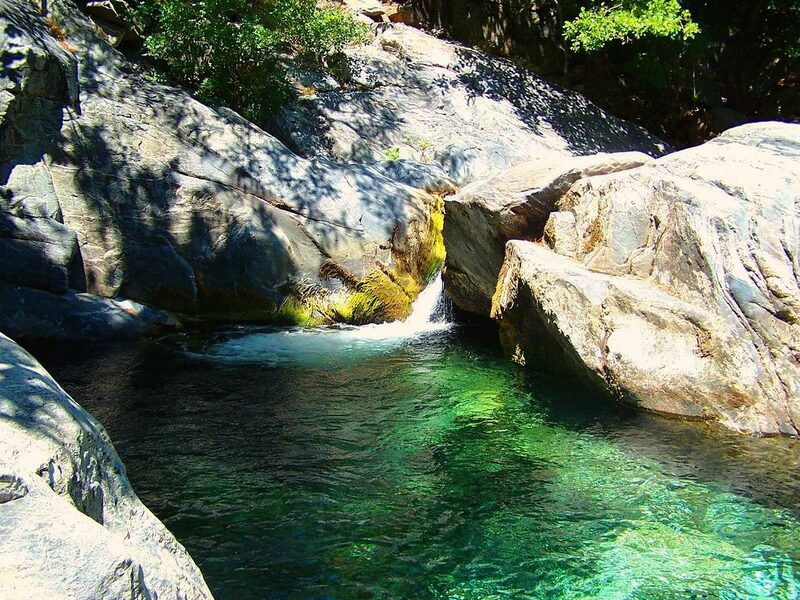 Apart from camping in this natural haven and getting some real down time with nature, visitors can also take a dip in a hot spring, go hiking, and fishing. 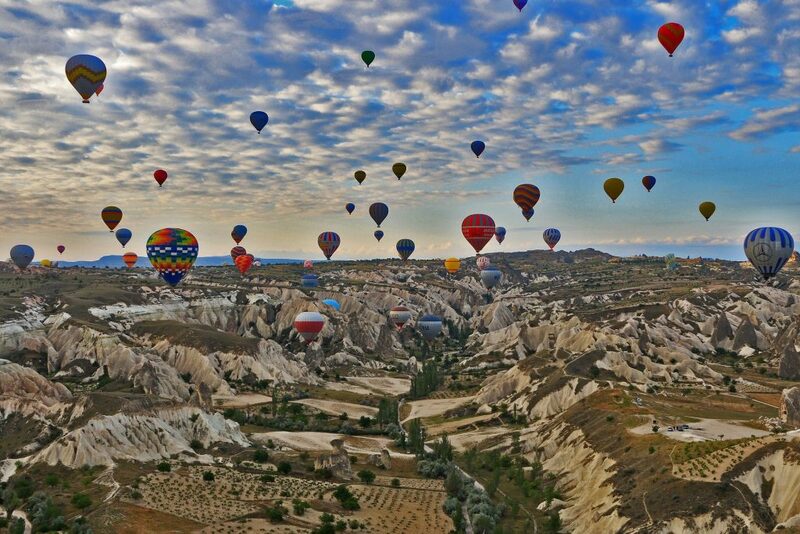 If you’d rather stay in a tent during your trip to the striking fairy chimneys of Cappadocia, then head to Kaya Camping, which overlooks the beautiful valley between Göreme and Çavusin. The site has a swimming pool, bathrooms, showers, washing machines, and a kitchen and charges about a 60 lira fee per day for two people. In the morning, you’ll wake up to Cappadocia’s famous hot air balloons gliding over the valley as the sun goes up for a truly spectacular view.